Yes it is sluggesh. Restarts on own all the tim and will repeatedly send the same text to someone over and over...what's up with that? Very poorly designed. They designed it to be waterproof, and shockproof, but neglected things like functionality, memory, processing speed, etc. And then completely forgot to put any protection on the screen, a slightly raised rubber lip around it would have been all it took. I had it freeze up on me a few months ago and the only way to reset it was to completely tear the phone apart and pull the battery wire off the main board. It just needed a hard reset, but this was the only way to do it. Then today, the phone got knocked out of my hand, cracked the digitizer and screen. The parts cost more than half as much as the phone cost me new. I've only had it a few months, but it is going in the trash. I've honestly gotten better results with the free phones from straight talk. Absolute junk. Worst phone. Camera not clear and can't update system. 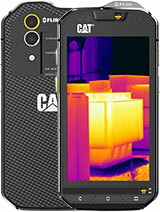 Got cat s50 .few years ago very slow and hangs bad not a smooth running device..now got iPhone it runs smooth and fast. I had it on dtc wireless and their saying it cannot be connected to any other server.and dtc went out of business.now phone worthless. Broke the screen after a year, battery stopped working after about 2. Extremely slow and very little space with all their filler applications preinstalled. trevor, 29 Apr 2017expensive trash, doesn't connect to bluetooth, as durable as tissue paper, glass breaks consta... moreits the best phone ever!! trevor, 29 Apr 2017expensive trash, doesn't connect to bluetooth, as durable as tissue paper, glass breaks consta... moreslow whilst doing? expensive trash, doesn't connect to bluetooth, as durable as tissue paper, glass breaks constantly, way too slow, camera is terrible. complete miss. ill never buy a cat product again. please dont buy this worthless phone. oh and there warranty is in German or Swedish so they dont have to live up to it, i HATE this phone. 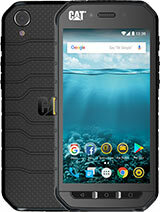 These phones are very rugged and can definitely take a beating. The one thing I do not like is mine can be slow and laggy many many times a day. Other than that, I am very impressed with this phone and the durability of it. 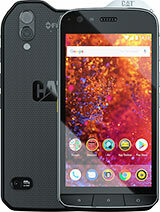 I wouldn't recommend the cat s50 at all. I have owned it for a year now and the screen has cracked twice with being occasionally dropped in everyday use - no harsh treatment at all. The first repair took so long I won't bother fixing it now. Also the side cover is peeling off near the charger port and the SD card port is acting up and losing contact with the card. The software is very glitchy and the GPS is poor in rural areas. 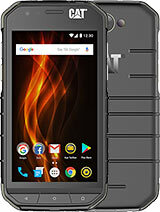 I can't see how this is considered a rugged military spec phone as it can't compare to any other rugged phone I have owned. Perhaps it should be given to the enemy forces. So many negative comments about this phone... are you sure you guys bought the original thing? I mean, i have mine now for almost 2 years and no complaints. I work in the construction and we build oil and gas refineries. I've been in the deserts of Saudi and Algeria with this phone. This phone in my opinion is a survivor!!! Just imagine my daily work in the harshest climate: Extreme temperatures, sand storm, dirt, sweat and i had this phone all along... not to mention 1 time when i was climbing the safety ladder and it slipped out my pocket, accidentally dropped on the pipes below and then to the concrete pavement (about 8 feet in height) and it works fine, just minor scratches on the corner. So yeah, no BS, this thing leaves up to its name. 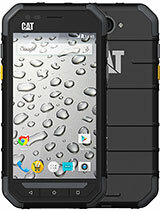 CATERPILLAR.. tough equipment, tough shoes, and yes tough phones. 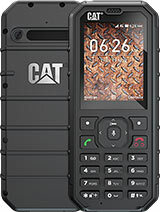 Now they have released the new CAT S60 and i can't wait to get my hands on that badboy. 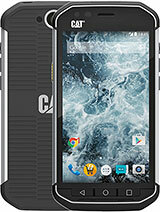 Total of 168 user reviews and opinions for Cat S50.